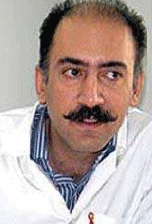 Dr. Arash Alaei and his brother Dr. Kamiar Alaei are HIV/AIDS doctors who were arrested in Iran in 2008 while researching. In January 2009 they were convicted of “communicating with an enemy government” for attending conferences and working with international health organizations to find solutions to HIV/AIDS. 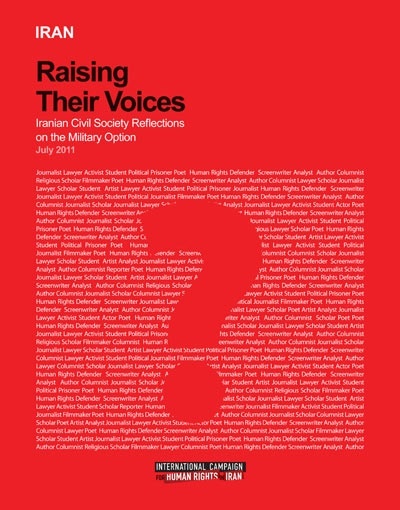 Attack Ruinous for Human Rights and Democratic Change in Iran – (26 July 2011) Influential and well-informed members of Iranian civil society believe that military action against Iran would lead to further political repression, deeper enmity between the Iranian people and the United States, and severe humanitarian problems, according to a report published today by the International Campaign for Human Rights in Iran. Iran – July 6, 2011 – The Observatory for the Protection of Human Rights Defenders, a joint programme of the International Federation for Human Rights (FIDH) and the World Organisation Against Torture (OMCT), requests your urgent intervention in the following situation in Iran.